People don't avoid cleaning simply because it's boring or not very fun. In fact, most people will tell you that cleaning can be an extremely rewarding experience when done correctly. Cleaning is much more likely to be skipped because people feel overwhelmed by the task at hand. Whether it's trying to decide what to do with old clothes or annoyance at a stain that refuses to budge, there are plenty of ways to be derailed before you have a chance to start. Staying motivated is going to take some work, but you can do it. The first thing you have to do is steel yourself against all the things that are likely to distract you. Ideally, you'll make a plan to counteract those thoughts before you ever go into battle. So if you're making a deal with yourself to get rid of any clothes you haven't worn in a year, you can't break that rule just because there's a possibility you might fit into your favorite pair of pants if you only lost 10 pounds. If you always get frustrated because your stove is difficult to clean, resolve to do a thorough deep-cleaning so everything is as good as new. It can sometimes be difficult to reward yourself after you've finished a task, mainly because most rewards cost money. It's almost like you're spending money to clean your home! (In which case, why not put that money toward a professional cleaner?) But rewarding yourself can also give you the courage you need to face the mess and just get it over with. Whether you've cleaned for 20 minutes or 2 hours, treat yourself to something you really want. It can be as easy as soaking in the tub for a few hours or having a cupcake from your favorite bakery. You can rest easy knowing you're going back to a clean apartment. Chicago apartments are far more fun to stay in when they're in their best condition. If you're looking for a new place to live, give Cobbler Square Lofts a call to learn more about our amenities and floor plans. 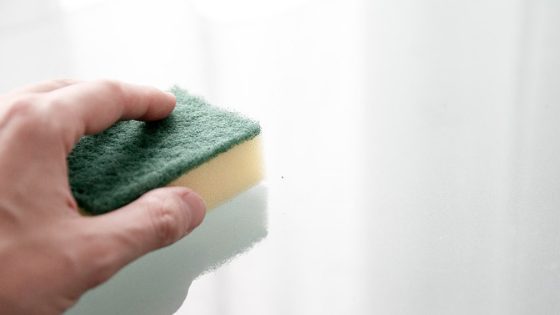 We have the surfaces you need to make your next cleaning session a breeze.